When classes get too hectic, students can escape and relax among the Arboretum’s 100 acres of gardens, beneath towering redwoods or next to the lazy river that hosts occasional groups of otters. With so many unique, natural elements, it’s no wonder that students chose the Arboretum as the most picturesque location on campus. Whether students are trying to impress a first date or convince their parents that Davis is not just a cow town, the Arboretum offers a tranquil spot for students to relax in nature. 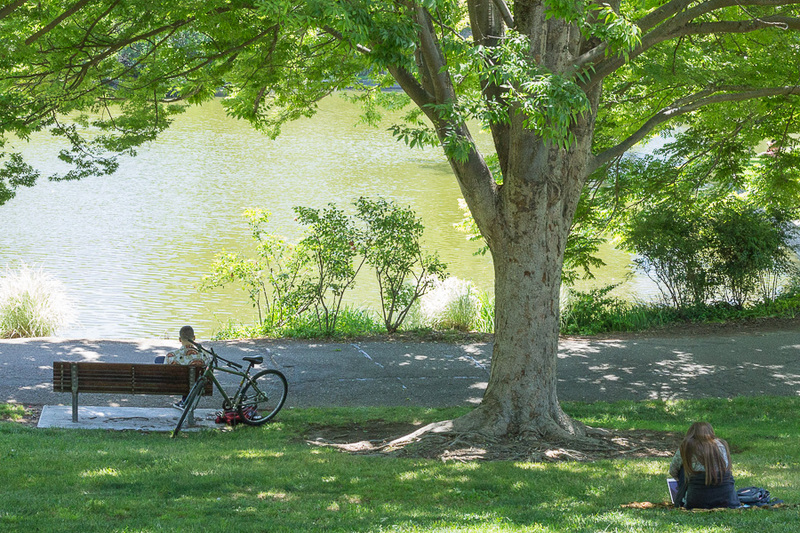 Featuring overarching canopies over a bench near the shore of Lake Spafford and the gardens of native Californian flowers, students can enjoy a different part of the Arboretum each time they visit, making it a staple destination to see when friends and family visit from out of town. The Arboretum highlights the mellow vibes of the UC Davis campus. On the weekends and after classes, students can find ways to unwind by napping under trees in the Arboretum or de-stressing via an afternoon run with friends. However, the Arboretum’s tranquil landscape offers a picturesque backdrop for students and the community to enjoy.